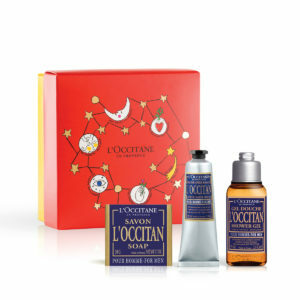 If you want guaranteed happy reactions to every Christmas gift you give, get them from L'OCCITANE. Present shopping can be stressful, especially if you're buying for people who are notoriously hard to please. Dads, mothers-in-law, the co-worker you got for Kris Kindle, oh my! So, what if I told you that there was a premium destination where everything in store is a sure-fire pleaser? 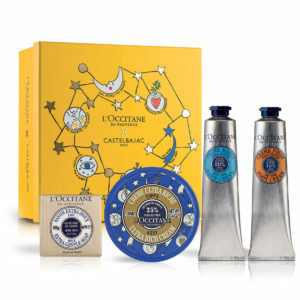 Mention L'OCCITANE, the luxurious natural French beauty brand, to anyone who appreciates the finer things in life and the reaction you get will be encouraging. The products are nothing but the best quality, but you don't have to be a millionaire to purchase, either. 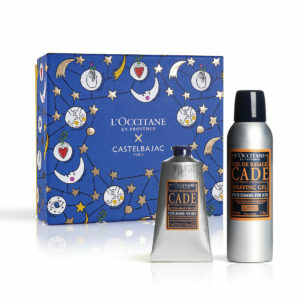 For Christmas, L'OCCITANE has the perfect gift for everyone, whether they are hard to buy for or not. They'll love the product itself, but the packaging will also delight - and we know how important that is at Christmastime! 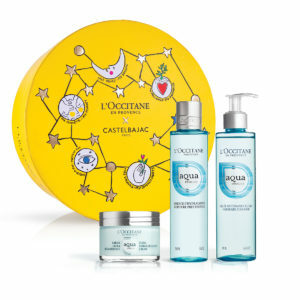 Speaking of packaging, L'OCCITANE hasrecently partnered with TerraCycle® to recycle your empties, which can be from L’OCCITANE or any other brand. 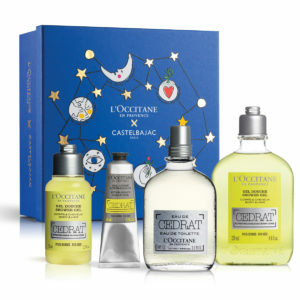 Simply bring 3 empty bottles at any of the L'OCCITANE boutiques and receive a 10% Off full-priced product. If the person you're buying for supports saving the environment (who doesn't? ), this is a lovely and fortuitous bonus. Indulge in this luxurious and tantalising gift inspired by sunset in Provence when the sky is set alight, embracing all the shades of gold. Zesty and aromatic at first, this signature fragrance collection unexpectedly melts into an infinitely gourmand heart, before settling into sensual balsamic and musky base notes. 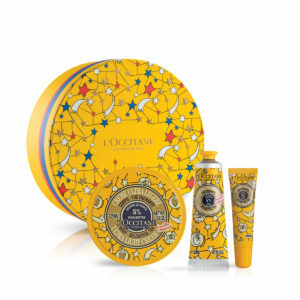 This Christmas, L’OCCITANE has supported UNICEF* to raise funds for its fight against vitamin A deficiency – one of the leading causes of preventable childhood blindness. 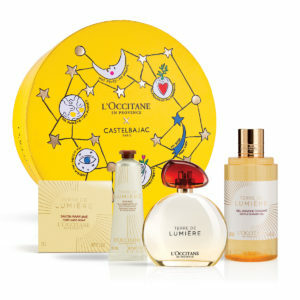 For every Best of L’OCCITANE gift box sold, L’OCCITANE will donate €15 on your behalf to UNICEF. Including all of our most loved products, this collection is the gift that gives back this Christmas. *UNICEF does not endorse any company, brand, product or service. 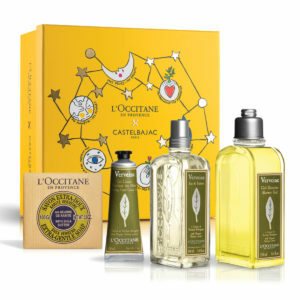 in a L'OCCITANE signature gift box. With zesty notes of orange and mandarin, Néroli & Orchidée reveals another facet of Neroli (orange blossom essential oil) through resolutely floral notes, heightened by the elegant presence of white orchid. The fresh, citrus scent of verbena essential oils has the unique ability to energise and revitalise the body whilst also balancing and calming the mind - the ideal way to kick start the day. 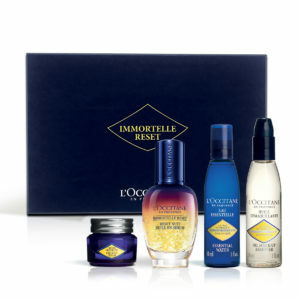 Discover L'OCCITANE powerful botanical complex with Immortelle essential oil from Corsica in this exceptional face care routine. Day after day see skin transform to become visibly younger, brighter and re-energised. Ideal for all skin types, this silky cleansing oil removes even the most stubborn makeup such as waterproof mascara, as well as impurities. Day after day, skin becomes more supple and soft. This alcohol-free toner will remove traces of make-up, hydrates, refreshes and tones skin. Skin feels plump and ready for your daily skincare ritual. This extraordinary night serum will leave you with skin that looks rested, fresh, more youthful and radiant. 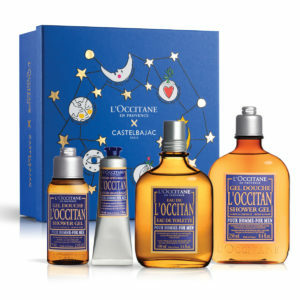 It suits all skin types, and works in combination with all L’OCCITANE face care serums and moisturisers. This moisturiser reduce the appearance of lines and wrinkles, boost the skin’s firmness and offer lasting anti-ageing protection. With daily use, the epidermis is re-invigorated, soft and comfortable. Skin is smoother and firmer; its youthfulness is prolonged. Deeply nourishing, protecting and soothing, our Shea Butter collection is the ultimate winter must-have. Since 1980, L'OCCITANE has worked in partnership with women in Burkina Faso, creating a sustainable supply chain. Sophisticated with an unexpected twist, the L'OCCITAN collection suits the modern gent who has style and panache. The carefully crafted fragrance of distilled lavender blended with nutmeg, black pepper and smoked woods is redolent of the natural scents of Provence. The first impression of this collection is a cascade of freshness: a green, citrusy, joyful, sparkling scent. Then, very quickly, the undeniably delicate nature of the fragrance is revealed through the bitterness of the woody rind. Fine and distinguished, cedrat asserts its innate elegance, which blends harmoniously with that of bergamot. Aromatic spices and a slightly smoky, woody base enhance the overall impression of sophistication. Formulated with calcium-rich water from the Réotier spring, this collection promise to lock in moisture for powerful hydration that lasts all day long. Skin will feel hydrated, nourished and ready to tackle the day ahead. . Discover our limited edition Delightful Tea collection - a fresh, pure and luminous scent evoking a soft wind blowing on a field of white flowers. An elegant interpretation when fresh and invigorating green tea encounters the floral and feminine notes of jasmine, honeysuckle and orange blossom. Delight and excite your senses with this collection of bath-time luxuries. These rich textures and evocative scents promise to transform your daily routine into a pampering ritual of wellbeing. 75ml Roses et Reines Shower Gel. Enriched with a purifying and stimulating complex of cade essential oil, protecting shea butter, moisturising vegetable-based glycerine, soothing bisabolol and firming extract of birch sap, this set contains all the essentials for a perfect shave. 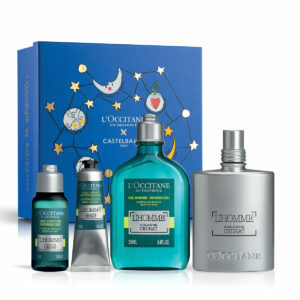 The perfect travel kit for men, these L'OCCITANE grooming products feature peppery notes of smoky woods and aromatic lavender. 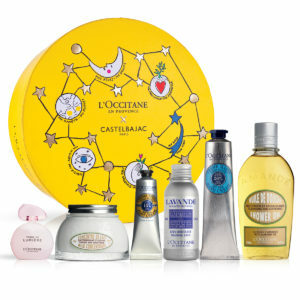 Gifts available in L'OCCITANE stores nationwide or online.